Rock and roll music has traversed the globe, but nowhere has it met with the kind of reception and treatment as it has in China. Like many Western phenomena, rock slowly and chaotically seeped its way into a nation hungry for and deeply suspicious of contact with the rest of the world, and one still dealing with the devastation of the previous decades. As a growing number of kids got their hands on rare recordings and stole glimpses of this alien culture, a realization set in: Rock didn’t just represent a new chapter in their lives. It was revolutionary – and this was a nation that knew from revolution. 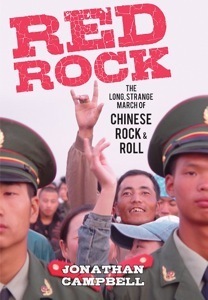 Rock’s journey through the Middle Kingdom echoes the nation’s coming-of-age and meeting with the rest of the world. How the music was processed by its newest – and biggest – fans produced not only a strange path, but also a unique music: Yaogun. Yaogun’s story is not just that of the awakening and rise of the world’s newest superpower, but of the power of the music. The future of the nation will determine yaogun’s path, just as it defined its past. But if yaogun lives up to its potential, it just might change the nation --- and rock the world.